With the submission of an application for a presentation (workshop, tutorial, lecture, panel) the speaker accepts the following terms and conditions. The applications will be selected exclusively by the advisory board / conference board committee for the respective conference. Submitting a presentation does not entitle the speaker to attend the event. The decision of the advisory board / conference board for the respective conference / event will be conveyed to the speaker without providing any reasons for refusal or acceptance. The speaker undertakes to provide his presentation in accordance with the following guidelines, unless otherwise agreed upon with conference management. The speaker is generally obligated to present the respective subject objectively, and in a vendor- and product-neutral way. Participation at the conference refers solely to the speaker and not to any company or institution the speaker may belong to. The speaker provides his presentation individually (if necessary with a co-speaker). He shall treat the presentation subject in accordance with the scope specified in the application, and in an appropriate manner. On principle, the “substitution” of a speaker is not possible. If a speaker revokes his attendance, tcworld GmbH reserves the right to cancel the presentation without replacement. Should the speaker be prevented for any reason (e.g. due to illness) on the conference day itself, he shall contact the conference management as soon as possible. If a speaker must cancel his participation, he undertakes to support the search for a substitute speaker. With the submission of the above-mentioned documents, the speaker grants tcworld GmbH (organizer) the full and irrevocable and royalty-free rights of use as defined by article 15 ff. of the German Copyright Act (§§ 15 ff. UrhG), in particular the rights of reproduction, public access and adaptation (especially translations).If the documents are not submitted in due time, tcworld GmbH reserves the right to remove the presentation from the conference program. The speaker has no any entitlement to compensation. Each speaker receives a free conference pass for the respective conference. In the case of the tcworld conference, the speaker has the opportunity to attend all presentations and workshops (with prior notice), as well as the tekom fair. For some conferences, it may be necessary to register at the official website with a special code. Co-speakers of presentations receive free admission only on the day of the presentation. Lunch and drinks at the beverage cart are free of charge. Details will be specified by conference management. There is no separate payment for expenses and/or travel expenses. Also, expenses incurred due to the creation of the presentation as well as the preparation of the documentation for the participants are not refunded. The tcworld GmbH (organizer) is entitled to cancel or postpone a conference due to serious reasons (e.g. closure of the venue, force majeure, etc.). If an event is canceled, no claims can be made for the payment of the workshop fee or the refund of expenses. Recordingstcworld GmbH (organizer) is entitled to produce audio and video recordings of the event for documentation purposes or self-publishing, if the speaker does not object to this prior to the start of the event.LiabilityThe speaker shall ensure that he has his own insurance covering accidents, illness, etc. With regard to his presentation materials, the speaker shall indemnify tcworld GmbH from all claims by third parties arising from the infringement of copyrights. tcworld reserves the right to evaluate the satisfaction of the conference participants with the help of feedback questionnaires or feedback apps such as “Honestly”. Such feedback on a presentation is solely for use within the advisory board / conference board committee and the speaker himself and will not be published. 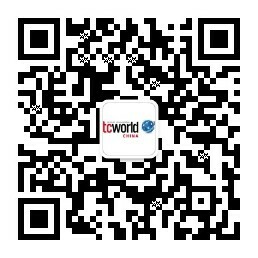 training programs of tekom and tcworld GmbH. or mail to tcworld GmbH, Rotebühlstraße 64, 70178 Stuttgart.